Australia is a member of the Organisation for Economic Co-operation and Development and the World Trade Organization, and has pursued several major bilateral free trade agreements, most recently the Australia–United States Free Trade Agreement and Closer Economic Relations with New Zealand, with another free trade agreement being negotiated with China — the Australia–China Free Trade Agreement — and Japan, South Korea in 2011, Australia–Chile Free Trade Agreement, and as of November 2015 has put the Trans-Pacific Partnership before parliament for ratification. Australia's armed forces — the Australian Defence Force (ADF) — comprise the Royal Australian Navy (RAN), the Australian Army and the Royal Australian Air Force (RAAF), in total numbering 81,214 personnel (including 57,982 regulars and 23,232 reservists) as of November 2015. The titular role of Commander-in-Chief is vested in the Governor-General, who appoints a Chief of the Defence Force from one of the armed services on the advice of the government. Day-to-day force operations are under the command of the Chief, while broader administration and the formulation of defence policy is undertaken by the Minister and Department of Defence. As of September 2018, there were 12,640,800 people employed (either full- or part-time), with an unemployment rate of 5.2%. Data released in mid-November 2013 showed that the number of welfare recipients had grown by 55%. In 2007 228,621 Newstart unemployment allowance recipients were registered, a total that increased to 646,414 in March 2013. According to the Graduate Careers Survey, full-time employment for newly qualified professionals from various occupations has declined since 2011 but it increases for graduates three years after graduation. The 2015 Cricket World Cup (officially known as ICC Cricket World Cup 2015) was the 11th Cricket World Cup, jointly hosted by Australia and New Zealand from 14 February to 29 March 2015. Australia defeated New Zealand by 7 wickets to win their fifth ICC Cricket World Cup. Fourteen teams played 49 matches in 14 venues, with Australia staging 26 games at grounds in Adelaide, Brisbane, Canberra, Hobart, Melbourne, Perth and Sydney while New Zealand hosted 23 games in Auckland, Christchurch, Dunedin, Hamilton, Napier, Nelson and Wellington.The hosting rights were awarded at the same time as those of the 2011 Cricket World Cup, which Australia and New Zealand had originally bid to host, and the 2019 Cricket World Cup, which was awarded to England. The 2011 tournament was awarded to the four Asian Test cricket playing countries: India, Pakistan, Sri Lanka and Bangladesh (Pakistan later lost the co-hosting rights due to a terrorist attack on the Sri Lankan team). The International Cricket Council were sufficiently impressed with the trans-Tasman bid that it was decided to award the next World Cup to Australia and New Zealand. This was the second time the tournament was held in Australia and New Zealand, with the first being the 1992 Cricket World Cup. India were the defending champions, having won the tournament in 2011. Tickets for the Pool B match between India and Pakistan, played on 15 February 2015, reportedly sold out within 12 minutes of going on sale.The final match of the tournament took place at the Melbourne Cricket Ground between co-hosts New Zealand and Australia in front of a record crowd of 93,013 while the average attendance throughout the tournament was 21,175 resulting from the cumulative tournament attendance of 1,016,420 and a washed out game between Australia and Bangladesh in Brisbane for which no attendance-figures were available.The 2015 Cricket World Cup is estimated to have been watched by over 1.5 billion people. The most widely watched match during the tournament was India vs. Pakistan, which is estimated to have drawn over 1 billion viewers. Aboriginal Australian is a collective term for all the indigenous peoples from the Australian mainland and Tasmania. This group contains many separate cultures that have developed in the various environments of Australia for more than 50,000 years. These peoples have a broadly shared, though complex, genetic history, but it is only in the last two hundred years that they have been defined and started to self identify as a single group. The exact definition of the term Aboriginal Australian has changed over time and place, with the importance of family lineage, self identification and community acceptance all being of varying importance. In the past Aboriginal Australians also lived over large sections of the continental shelf and were isolated on many of the smaller offshore islands, once the land was inundated at the start of the inter-glacial. However, they are distinct from the Torres Strait Islander people, despite extensive cultural exchange.Today Aboriginal Australians comprise 3.1% of Australia's population. They also live throughout the world as part of the Australia diaspora. Before extensive European settlement, there were over 200 Aboriginal languages. However, today most Aboriginal people speak English, with Aboriginal phrases and words being added to create Australian Aboriginal English (which also has a tangible influence of Indigenous languages in the phonology and grammatical structure). They have a number of health and economic deprivations in comparison with the wider Australian community. Adelaide ( (listen) AD-ə-layd) is the capital city of the state of South Australia, and the fifth-most populous city of Australia. In June 2017, Adelaide had an estimated resident population of 1,333,927. Adelaide is home to more than 75 percent of the South Australian population, making it the most centralised population of any state in Australia. Named in honour of Adelaide of Saxe-Meiningen, queen consort to King William IV, the city was founded in 1836 as the planned capital for a freely-settled British province in Australia. Colonel William Light, one of Adelaide's founding fathers, designed the city and chose its location close to the River Torrens, in the area originally inhabited by the Kaurna people. Light's design set out Adelaide in a grid layout, interspaced by wide boulevards and large public squares, and entirely surrounded by parklands. Early Adelaide was shaped by prosperity and wealth. Until the post war era, it was Australia's third-largest city and one of the few Australian cities without a convict history. It has been noted for early examples of religious freedom, a commitment to political progressivism and civil liberties. It has been known as the "City of Churches" since the mid-19th century, referring to its diversity of faiths rather than the piety of its denizens. The demonym "Adelaidean" is used in reference to the city and its residents.As South Australia's seat of government and commercial centre, Adelaide is the site of many governmental and financial institutions. Most of these are concentrated in the city centre along the cultural boulevard of North Terrace, King William Street and in various districts of the metropolitan area. Today, Adelaide is noted for its many festivals and sporting events, its food and wine, its long beachfronts, and its large defence and manufacturing sectors. It ranks highly in terms of quality of life, being consistently listed in the world's top 10 most liveable cities, out of 140 cities worldwide by The Economist Intelligence Unit. It was also ranked the most liveable city in Australia by the Property Council of Australia in 2011, 2012 and 2013. The Australia national cricket team is the joint oldest team in Test cricket history, having played in the first ever Test match in 1877. The team also plays One-Day International (ODI) and Twenty20 International (T20I) cricket, participating in both the first ODI, against England in the 1970–71 season and the first T20I, against New Zealand in the 2004–05 season, winning both games. The team draws its players from teams playing in the Australian domestic competitions – the Sheffield Shield, the Australian domestic limited-overs cricket tournament and the Big Bash League. The national team has played 820 Test matches, winning 386, losing 222, drawing 210 and tying 2. As of March 2019, Australia is ranked fourth in the ICC Test Championship on 104 rating points. Australia is the most successful team in Test cricket history, in terms of overall wins, win-loss ratio and wins percentage. The Australian cricket team has played 932 ODI matches, winning 566, losing 323, tying 9 and with 34 ending in a no-result. As of March 2019, Australia is ranked fifth in the ICC ODI Championship on 102 rating points, though have been ranked first for 141 of 185 months since its introduction in 2002. Australia have made a record seven World Cup final appearances (1975, 1987, 1996, 1999, 2003, 2007 and 2015) and have won the World Cup a record five times in total; 1987, 1999, 2003, 2007 and 2015. Australia is the first team to appear in four consecutive World Cup finals (1996, 1999, 2003 and 2007), surpassing the old record of three consecutive World Cup appearances by the West Indies (1975, 1979 and 1983) and the first team to win 3 consecutive World Cups (1999, 2003 and 2007). The team was undefeated in 34 consecutive World Cup matches until 19 March at the 2011 Cricket World Cup where Pakistan beat them by 4 wickets. It is also the second team to win a World Cup (2015) on home soil, after India (2011). Australia have also won the ICC Champions Trophy twice (2006 and 2009) making them the first and the only team to become back to back winners in the Champions Trophy tournaments. The national team has played 116 Twenty20 International matches, winning 60, losing 52, tying 2 and with 2 ending in a no-result. As of March 2019, Australia is ranked third in the ICC T20I Championship on 120 rating points,. Additionally, the team made the final of the 2010 ICC World Twenty20, in which they lost to England. On 12 January 2019, Australia won the first ODI against India at the Sydney Cricket Ground by 34 runs, to record their 1,000th win in international cricket. The Australia national soccer team represents Australia in international men's soccer. Officially nicknamed the Socceroos, the team is controlled by the governing body for soccer in Australia, Football Federation Australia (FFA), which is currently a member of the Asian Football Confederation (AFC) and the regional ASEAN Football Federation (AFF) since leaving the Oceania Football Confederation (OFC) in 2006. Australia is the only national team to have been a champion of two confederations, having won the OFC Nations Cup four times between 1980 and 2004, as well as the AFC Asian Cup at the 2015 event on home soil. The team has represented Australia at the FIFA World Cup tournament on five occasions, in 1974 and from 2006 to 2018. The team has also represented Australia at the FIFA Confederations Cup four times. Indigenous Australians are the Aboriginal and Torres Strait Islander peoples of Australia, descended from groups that existed in Australia and surrounding islands before British colonisation. The time of arrival of the first Indigenous Australians is a matter of debate among researchers. The earliest conclusively human remains found in Australia are those of Mungo Man LM3 and Mungo Lady, which have been dated to around 50,000 years BP. Recent archaeological evidence from the analysis of charcoal and artefacts revealing human use suggests a date as early as 65,000 BP. Luminescence dating has suggested habitation in Arnhem Land as far back as 60,000 years BP. Genetic research has inferred a date of habitation as early as 80,000 years BP. Other estimates have ranged up to 100,000 years and 125,000 years BP.Although there are a number of commonalities between Indigenous Aboriginal Australians, there is also a great diversity among different Indigenous communities and societies in Australia, each with its own mixture of cultures, customs and languages. In present-day Australia these groups are further divided into local communities. At the time of initial European settlement, over 250 languages were spoken; it is currently estimated that 120 to 145 of these remain in use, but only 13 of these are not considered endangered. Aboriginal people today mostly speak English, with Aboriginal phrases and words being added to create Australian Aboriginal English (which also has a tangible influence of Indigenous languages in the phonology and grammatical structure). The population of Indigenous Australians at the time of permanent European settlement is contentious and has been estimated at between 318,000 and 1,000,000 with the distribution being similar to that of the current Australian population, the majority living in the south-east, centred along the Murray River. 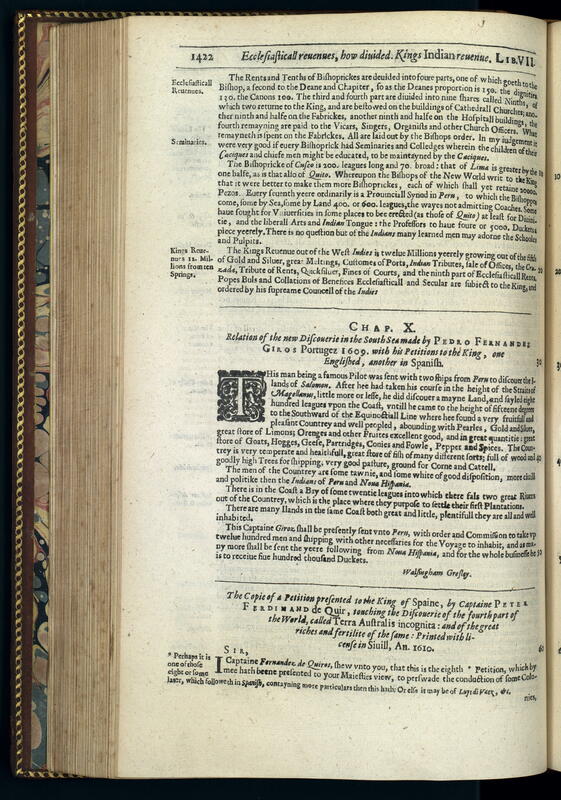 A population collapse principally from disease followed European settlement beginning with a smallpox epidemic spreading three years after the arrival of Europeans. Massacres and war by British settlers also contributed to depopulation. The characterisation of this violence as genocide is controversial and disputed.Since 1995, the Australian Aboriginal Flag and the Torres Strait Islander Flag have been among the official flags of Australia. The Liberal Party of Australia is a major centre-right political party in Australia, one of the two major parties in Australian politics, along with the centre-left Australian Labor Party (ALP). It was founded in 1944 as the successor to the United Australia Party (UAP).The Liberal Party is the largest and dominant party in the Coalition with the National Party of Australia. In two states and territories of Australia the parties have merged, forming the Country Liberal Party of the Northern Territory and the Liberal National Party of Queensland. Except for a few short periods, the Liberal Party and its predecessors have operated in similar coalitions since the 1920s. The party's leader is Scott Morrison and its deputy leader is Josh Frydenberg. The pair were elected to their positions at the August 2018 Liberal leadership ballot, with Frydenberg and Morrison as replacements for Julie Bishop and Malcolm Turnbull respectively, the latter of whom Morrison consequently succeeded as Prime Minister of Australia. Now the Morrison Government, the party had been elected at the 2013 federal election as the Abbott Government which took office on 18 September 2013. At state and territory level, the Liberal Party is in office in three states: Will Hodgman, Premier of Tasmania since 2014, Gladys Berejiklian, Premier of New South Wales since 2017 and Steven Marshall, Premier of South Australia since 2018. The party is in opposition in the states of Victoria, Queensland and Western Australia, and in both the Australian Capital Territory and the Northern Territory. The party's ideology has been referred to as conservative, liberal-conservative, conservative-liberal, and classical liberal. The Liberal Party tends to promote economic liberalism (which in the Australian usage refers to free markets and small government). Two past leaders of the party, Sir Robert Menzies and John Howard, are Australia's two longest-serving Prime Ministers. The Liberal Party has spent more time in government than any other federal political party in Australian history. Melbourne ( (listen) MEL-bərn) is the capital and most populous city of the Australian state of Victoria, and the second most populous city in Australia and Oceania. Its name refers to an urban agglomeration of 9,992.5 km2 (3,858.1 sq mi), comprising a metropolitan area with 31 municipalities, and is also the common name for its city centre. The city occupies much of the coastline of Port Phillip bay and spreads into the hinterlands towards the Dandenong and Macedon ranges, Mornington Peninsula and Yarra Valley. It has a population of approximately 5 million (19% of the population of Australia), and its inhabitants are referred to as "Melburnians".The city was founded on 30 August 1835, in the then-British colony of New South Wales, by free settlers from the colony of Van Diemen’s Land (modern-day Tasmania). It was incorporated as a Crown settlement in 1837 and named in honour of the British Prime Minister, William Lamb, 2nd Viscount Melbourne. In 1851, four years after Queen Victoria declared it a city, Melbourne became the capital of the new colony of Victoria. In the wake of the 1850s Victorian gold rush, the city entered a lengthy boom period that, by the late 1880s, had transformed it into one of the world's largest and wealthiest metropolises. After the federation of Australia in 1901, it served as interim seat of government of the new nation until Canberra became the permanent capital in 1927. Today, it is a leading financial centre in the Asia-Pacific region and ranks 15th in the Global Financial Centres Index.The city is home to many of the best-known cultural institutions in the nation, such as the Melbourne Cricket Ground, the National Gallery of Victoria and the World Heritage-listed Royal Exhibition Building. It is also the birthplace of Australian impressionism, Australian rules football, the Australian film and television industries and Australian contemporary dance. More recently, it has been recognised as a UNESCO City of Literature and a global centre for street art, live music and theatre. It is the host city of annual international events such as the Australian Grand Prix, the Australian Open and the Melbourne Cup, and has also hosted the 1956 Summer Olympics and the 2006 Commonwealth Games. Due to it rating highly in entertainment, tourism and sport, as well as education, health care, research and development, the EIU currently ranks it the second most liveable city in the world.The main airport serving the city is Melbourne Airport (also referred to as Tullamarine Airport), which is the second busiest in Australia, and Australia's busiest seaport the Port of Melbourne. Its main metropolitan rail terminus is Flinders Street station and its main regional rail and road coach terminus is Southern Cross station. It also has the most extensive freeway network in Australia and the largest urban tram network in the world. The Northern Territory (officially the Northern Territory of Australia) (abbreviated NT) is an Australian territory in the central and central northern regions of Australia. It shares borders with Western Australia to the west (129th meridian east), South Australia to the south (26th parallel south), and Queensland to the east (138th meridian east). 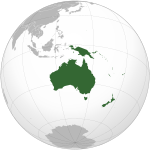 To the north, the territory looks out to the Timor Sea, the Arafura Sea and the Gulf of Carpentaria, including Western New Guinea and other Indonesian islands. The NT covers 1,349,129 square kilometres (520,902 sq mi), making it the third-largest Australian federal division, and the 11th-largest country subdivision in the world. It is sparsely populated, with a population of only 246,700, making it the least-populous of Australia's eight states and major territories, with fewer than half as many people as Tasmania.The archaeological history of the Northern Territory begins over 40,000 years ago when Indigenous Australians settled the region. Makassan traders began trading with the indigenous people of the Northern Territory for trepang from at least the 18th century onwards. The coast of the territory was first seen by Europeans in the 17th century. The British were the first Europeans to attempt to settle the coastal regions. After three failed attempts to establish a settlement (1824–28, 1838–49, and 1864–66), success was achieved in 1869 with the establishment of a settlement at Port Darwin. Today the economy is based on tourism, especially Kakadu National Park in the Top End and the Uluṟu-Kata Tjuṯa National Park (Ayers Rock) in central Australia, and mining. The capital and largest city is Darwin. The population is concentrated in coastal regions and along the Stuart Highway. The other major settlements are (in order of size) Palmerston, Alice Springs, Katherine, Nhulunbuy and Tennant Creek. Residents of the Northern Territory are often known simply as "Territorians" and fully as "Northern Territorians", or more informally as "Top Enders" and "Centralians". Perth ( (listen) PURTH) is the capital and largest city of the Australian state of Western Australia. It is named after the city of Perth, Scotland and is the fourth-most populous city in Australia, with a population of 2.06 million living in Greater Perth. Perth is part of the South West Land Division of Western Australia, with the majority of the metropolitan area located on the Swan Coastal Plain, a narrow strip between the Indian Ocean and the Darling Scarp. The first areas settled were on the Swan River at Guildford, with the city's central business district and port (Fremantle) both later founded downriver. As part of Perth's role as the capital of Western Australia, the state's Parliament and Supreme Court are located within the city, as is Government House, the residence of the Governor of Western Australia. Perth came seventh in the Economist Intelligence Unit's August 2016 list of the world's most liveable cities and was classified by the Globalization and World Cities Research Network in 2010 as a Beta world city. The city hosted the 1962 Commonwealth Games. Perth is divided into 30 local government areas and 250 suburbs, stretching from Two Rocks in the north to Singleton in the south, and east inland to The Lakes. Outside of the main CBD, important urban centres within Perth include Fremantle and Joondalup. Most of those were originally established as separate settlements and retained a distinct identity after being subsumed into the wider metropolitan area. Mandurah, Western Australia's second-largest city, has in recent years formed a conurbation with Perth along the coast, though for most purposes it is still considered a separate city. South Australia (abbreviated as SA) is a state in the southern central part of Australia. It covers some of the most arid parts of the country. With a total land area of 983,482 square kilometres (379,725 sq mi), it is the fourth-largest of Australia's states and territories by area, and fifth largest by population. It has a total of 1.7 million people, and its population is the second most highly centralised in Australia, after Western Australia, with more than 77 percent of South Australians living in the capital, Adelaide, or its environs. Other population centres in the state are relatively small; Mount Gambier, the second largest centre, has a population of 28,684. South Australia shares borders with all of the other mainland states, and with the Northern Territory; it is bordered to the west by Western Australia, to the north by the Northern Territory, to the north-east by Queensland, to the east by New South Wales, to the south-east by Victoria, and to the south by the Great Australian Bight. The state comprises less than 8 percent of the Australian population and ranks fifth in population among the six states and two territories. The majority of its people reside in greater Metropolitan Adelaide. Most of the remainder are settled in fertile areas along the south-eastern coast and River Murray. The state's colonial origins are unique in Australia as a freely settled, planned British province, rather than as a convict settlement. Colonial government commenced on 28 December 1836, when the members of the council were sworn in near the Old Gum Tree. As with the rest of the continent, the region had been long occupied by Aboriginal peoples, who were organised into numerous tribes and languages. The South Australian Company established a temporary settlement at Kingscote, Kangaroo Island, on 26 July 1836, five months before Adelaide was founded. The guiding principle behind settlement was that of systematic colonisation, a theory espoused by Edward Gibbon Wakefield that was later employed by the New Zealand Company. The goal was to establish the province as a centre of civilisation for free immigrants, promising civil liberties and religious tolerance. Although its history is marked by economic hardship, South Australia has remained politically innovative and culturally vibrant. Today, it is known for its fine wine and numerous cultural festivals. The state's economy is dominated by the agricultural, manufacturing and mining industries. The Special Broadcasting Service (SBS) is a hybrid-funded Australian public broadcasting radio, online and television network. SBS operates four TV channels (SBS, SBS Viceland, SBS Food and NITV) and eight radio networks (SBS Radio, 1, 2 and 3, Arabic24, SBS Chill, SBS PopDesi and SBS PopAsia). SBS Online is home to SBS On Demand video streaming service. The stated purpose of SBS is "to provide multilingual and multicultural radio and television services that inform, educate and entertain all Australians and, in doing so, reflect Australia's multicultural society". SBS is one of five main free-to-air networks in Australia. Victoria (abbreviated as Vic) is a state in south-eastern Australia. Victoria is Australia's smallest mainland state and its second-most populous state (after New South Wales) overall, making it the most densely populated state overall. Most of its population lives concentrated in the area surrounding Port Phillip Bay, which includes the metropolitan area of its state capital and largest city, Melbourne, Australia's second-largest city. Victoria is bordered by Bass Strait and Tasmania to the south,New South Wales to the north, the Tasman Sea to the east, and South Australia to the west. The area that is now known as Victoria is the home of many Aboriginal people groups, including the Boon wurrung, the Bratauolung, the Djadjawurrung, the Gunai/Kurnai, the Gunditjmara, the Taungurong, the Wathaurong, the Wurundjeri, and the Yorta Yorta. There were more than 30 Aboriginal languages spoken in the area prior to the European settlement of Australia. The Kulin nation is an alliance of five Aboriginal nations which makes up much of the central part of the state.With Great Britain having claimed the half of the Australian continent that is east of the 135th meridian east in 1788, Victoria formed part of the wider colony of New South Wales. The first European settlement in the area occurred in 1803 at Sullivan Bay, and much of what is now Victoria was included in 1836 in the Port Phillip District, an administrative division of New South Wales. Named in honour of Queen Victoria, who signed the division's separation from New South Wales, the colony was officially established in 1851 and achieved self government in 1855. The Victorian gold rush in the 1850s and 1860s significantly increased both the population and wealth of the colony, and by the time of the Federation of Australia in 1901, Melbourne had become the largest city and leading financial centre in Australasia. Melbourne served as federal capital of Australia until the construction of Canberra in 1927, with the Federal Parliament meeting in Melbourne's Parliament House and all principal offices of the federal government being based in Melbourne. Politically, Victoria has 37 seats in the Australian House of Representatives and 12 seats in the Australian Senate. At state level, the Parliament of Victoria consists of the Legislative Assembly (the lower house) and the Legislative Council (the upper house). The Labor Party led Daniel Andrews as premier has governed Victoria since 2014. The personal representative of the Queen of Australia in the state is the Governor of Victoria, currently Linda Dessau (in office since 2015). Victoria is divided into 79 municipal districts, including 33 cities, although a number of unincorporated areas still exist, which the state administers directly. The economy of Victoria is highly diversified, with service sectors including financial and property services, health, education, wholesale, retail, hospitality and manufacturing constitute the majority of employment. Victoria's total gross state product (GSP) ranks second in Australia, although Victoria ranks fourth in terms of GSP per capita because of its limited mining activity. Culturally, Melbourne hosts a number of museums, art galleries, and theatres, and is also described as the world's sporting capital. The Melbourne Cricket Ground, the largest stadium in Australia and the Southern Hemisphere, hosted the 1956 Summer Olympics and the 2006 Commonwealth Games. The ground is also considered the "spiritual home" of Australian cricket and Australian rules football, and hosts the grand final of the Australian Football League (AFL) each year, drawing crowds of approximately 100,000. Nearby Melbourne Park has hosted the Australian Open, one of tennis' four Grand Slam events, annually since 1988. Victoria has eight public universities, with the oldest, the University of Melbourne, dating from 1853. Western Australia (abbreviated as WA) is a state occupying the entire western third of Australia. It is bounded by the Indian Ocean to the north and west, and the Southern Ocean to the south, the Northern Territory to the north-east, and South Australia to the south-east. Western Australia is Australia's largest state, with a total land area of 2,529,875 square kilometres (976,790 sq mi), and the second-largest country subdivision in the world, surpassed only by Russia's Sakha Republic. The state has about 2.6 million inhabitants – around 11 percent of the national total – of whom the vast majority (92 per cent) live in the south-west corner, 79 per cent of the population living in the Perth area, leaving the remainder of the state sparsely populated. York was the first inland settlement in Western Australia. 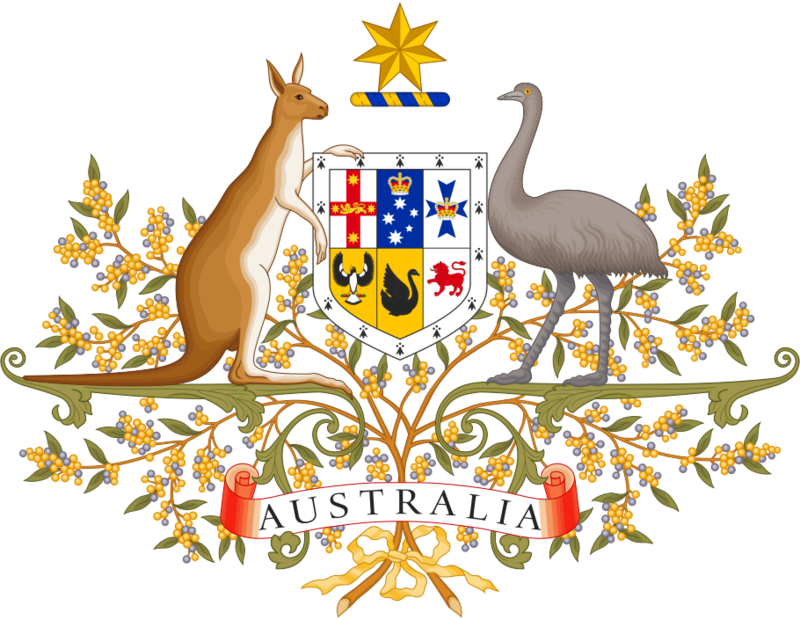 Situated 97 kilometres (60 miles) east of Perth, it was settled on 16 September 1831.Western Australia achieved responsible government in 1890 and federated with the other British colonies in Australia in 1901. Today, its economy mainly relies on mining, agriculture, exports, and tourism. The state produces 46 per cent of Australia's exports. Western Australia is the second-largest iron ore producer in the world.